This podcast episode of the Genealogy Girl Talks Podcast is a relaunch of a previously recorded episode. The audio is a little different than the current episodes. Are you using Pinterest for your Family History and Genealogy? Pinterest is an amazing tool for the Family Historian. 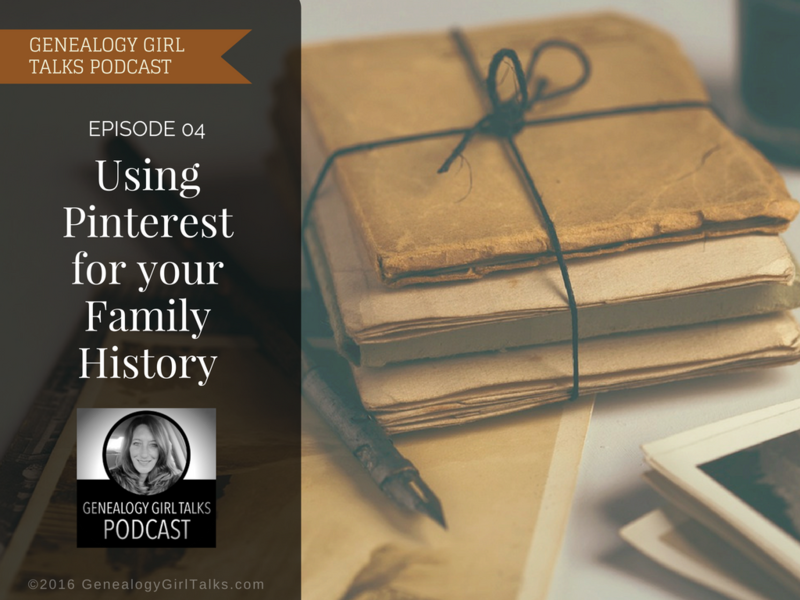 Three specific benefits of using Pinterest for your Family History mentioned in this episode are: (1) Pinterest gives you a place to organize your information. (2) Pinterest allows you to connect with family members. (3) Pinterest allows you to organize and save pictures and documents you find online by creating a link to these items.